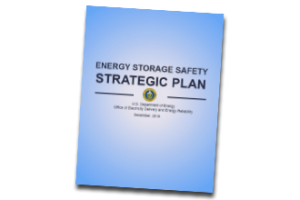 The DOE Office of Electricity Delivery and Energy Reliability is addressing the need of the community for energy storage safety through the creation of the DOE OE Strategic Plan for Energy Storage Safety (PDF, 685 kb). This strategic plan addresses the need for incident preparedness, scientifically based and standardized safety validation techniques, and safety documentation. 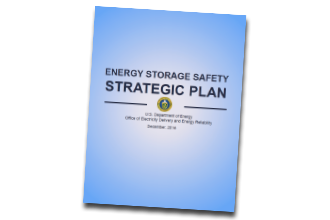 The Strategic Plan identifies gaps within these three areas and presents the desired end goals to ensure the safety of energy storage systems. A webinar was held in April (MP4 video, 49 mb) to present the outline of the Strategic Plan. We encourage community engagement and feedback throughout this process; please email essafety@sandia.gov with any questions or comments you have pertaining to this document. Questions and Answers will be addressed in the Question and Answer Forum.